HTMA Hair Analysis from Trace Elements, Inc. Hair Tissue Mineral Analysis (HTMA) is a body mineral levels estimation that helps determine mineral imbalances and deficiencies within a person's body, as well as the presence of toxic metals through the simple procedure of hair sample testing. This is the first step towards an optimal health and overall wellness. 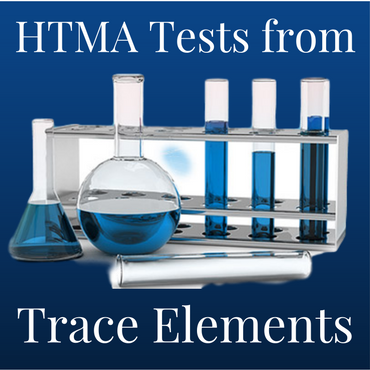 Trace Elements, Inc. HTMA test provides information that can serve as a guide for diet, lifestyle, and supplement intake suggestions. This can eventually help your body heal through toxic metal elimination and restoration of essential nutrients levels. HTMA tests for humans, dogs and horses can be currently ordered from Trace Elements. With each of these programs, you will receive a graphic illustration of mineral levels and ratios of your body, along with an individualized explanation of hair analysis results and customized recommendations. Answers to all your questions and extra support regarding HTMA test results can be received during the consultation with Practitioner Eileen Durfee.